MH-6 Little Birds from the Army’s 160th Special Operations Aviation Regiment fly so low during one of these urban warfare drills that occur in cities that are very much going about its usual business, a feat made all the more impressive given the rain and wind at the time. 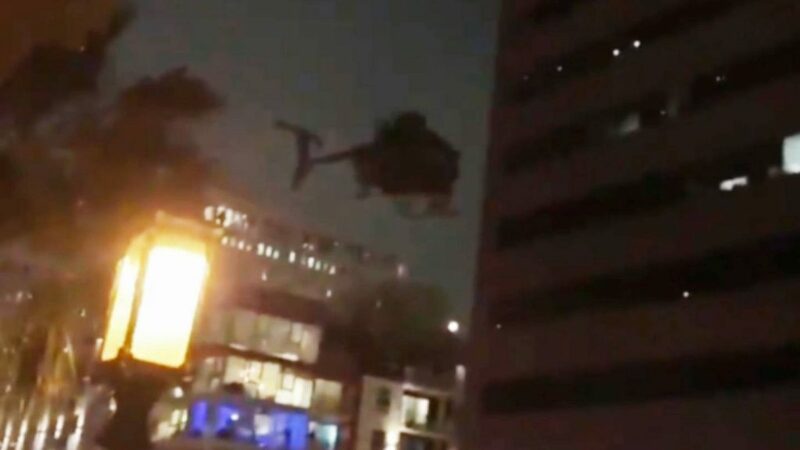 Army helicopters flying low over DTLA streets to infiltrate and exfiltrate troops and dogs as part of a training mission that reportedly simulated the assault and takes over of an abandoned building. “Night Stalkers” unusual helicopters are readily identifiable during the day. 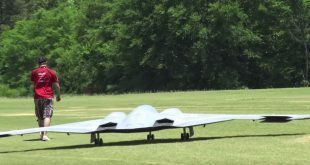 They are painted flat black instead of the more common olive green color and have almost no visible markings. During night flying, the choppers are completely blacked out and only a single red light is usually visible on the tail of the aircraft. The “Night Stalkers” are quite famous for the raid to capture Osama bin Laden, Operation Neptune’s Spear, on May 1, 2011.